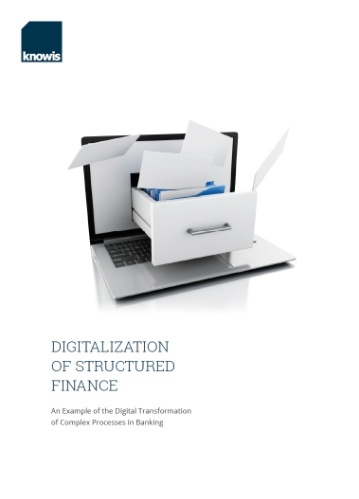 This whitepaper provides an overview of the reasons why digitalization of complex banking processes is necessary and how to lay the according foundations. Based on an exemplary customer scenario for structured finance, we will show you how to use an open banking platform for the implementation of an extensive digitalization project in the credit sector. The focus will lie on the heart of each loan application: the analysis of the economic situation. Using and linking existing data, for example, makes it possible to have an automated cash flow calculation carried out. Finally, the white paper outlines how you can – step by step – develop a useful comprehensive concept for a complete digital transformation of corporate credit processes.